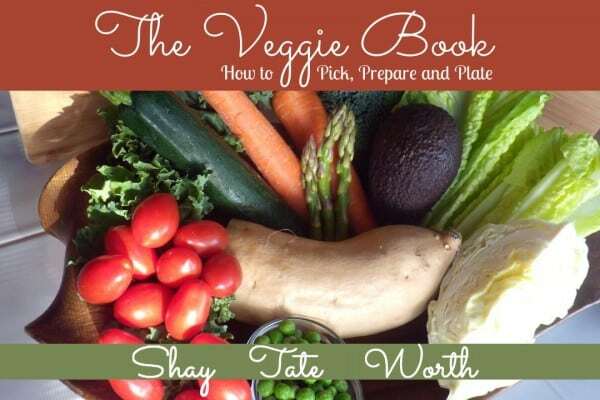 I mentioned the amazing Harvest Your Health Bundle at the beginning of the week. (Note that this offer is no longer available.) 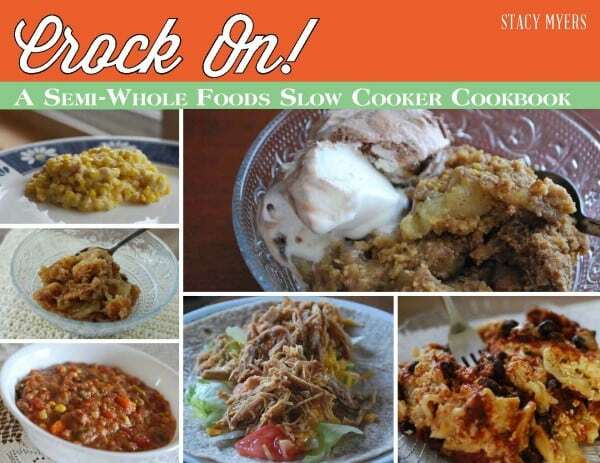 Today I’m sharing two recipes from two of the ebooks that are included in the bundle. The first is Crockpot Cheesy Sausage Potatoes from Stacy Myers’ (Stacy Makes Cents) Crock On book. The second is Asparagus French Fries from The Veggie Book by Danielle Tate, Debra Worth, Sara Shay and Kayla Grey. Both recipes look and sound wonderful and would certainly be welcomed in the gfe household! Many thanks to Stacy, Danielle, Debra, Sara, and Kayla for so graciously sharing their recipes with gfe and being part of Harvest Your Health! 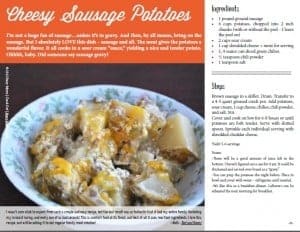 Brown sausage in a skillet. Drain. Transfer to a 4-5 quart greased crock pot. 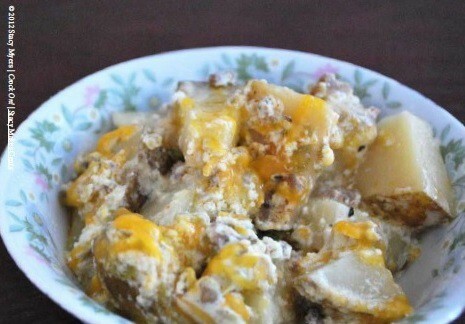 Add potatoes, sour cream, 1 cup cheese, chilies, chili powder, and salt. Stir. Cover and cook on low for 6-8 hours or until potatoes are fork tender. Serve with slotted spoon. Sprinkle each individual serving with shredded cheddar cheese. You can prep the potatoes the night before. Place in bowl and cover with water. Refrigerate until needed. We like this as a breakfast-dinner, "brinner." Leftovers can be reheated the next morning for breakfast. Trim off the root end of your asparagus and cut each spears in half. If you have spears that are thicker than others you may want to cut them in half length-wise to ensure even cooking. Place eggs, beaten in a small bowl. In a separate bowl or plate mix together your salt, pepper, parsley and bread crumbs together. Dip spears into egg mixture and then breadcrumbs. Place on greased pan and bake at 375° for 15-20 minutes until desired tenderness is reached. 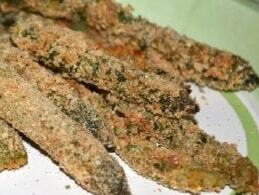 There's also a wonderful dipping sauce in The Veggie Book to go with these Asparagus Fries .